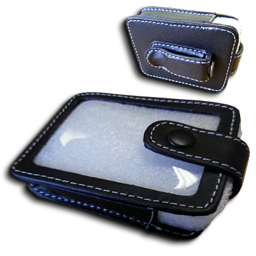 The main reason to buy this leather pager protector is to reduce the risk of damage to a pager when it is dropped. These are custom made here in LRS UK Offices to fit perfectly. Ensure your pagers are properly protected against damage with the use of our pager protector. Extend the life of your paging system. This waiter or staff pager that is also known as a server pager, star pager or buzzer has four unique messaging leds that with the right transmitter from us can display many different but useful messages. Its rugged and designed for extended use. Will operate for up to 48 hours from one charge. This case is the most robust case we have. It is used throughout the restaurant sector and protects pagers from damage. Pays for itself in no time.